Let's be honest, we all drank some pretty unremarkable cocktails when we were in college. Ones that were cheap, and generally required little more process than pouring the spirit and mixer into a Solo cup and stirring it together with a plastic knife. Or if you were at the bar — correction, got into the bar — you stuck with the familiar ("vodka cran") or opted for the excessively strong (Long Island Iced Tea). Now that school is back in full swing, and collegiates are getting into their work-hard-party-harder routine, we thought it would be fun to take on the challenge of finding "upscale" renditions of some cocktails that recall your dorm room days. Here are five favorites. 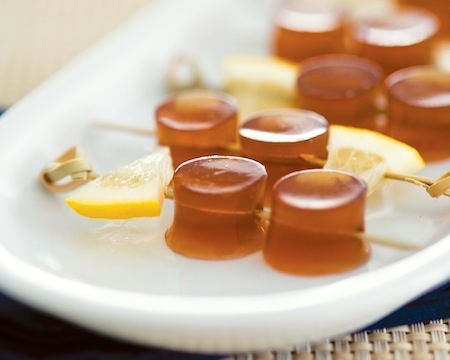 The famously strong kitchen-sink cocktail gets the jelly shot treatment in this recipe (how college party appropriate). Still potent, it at least presents itself as a touch more refined. And besides, chances are downing two of these will lead to a lot less trouble than pounding two glasses of the drink would. The recipe for this craft cocktail ditches the traditional vodka used in a Screwdriver and replaces it instead with smoky mescal. The mixer component gets an upgrade too, combining a medley of citrus juices (orange, lemon, and pineapple) in place of the regular orange. Or if mescal isn't your thing, try this Jalapeño Orangeade instead, which muddles slices of the pepper in citrus-flavored vodka for a fiery effect. 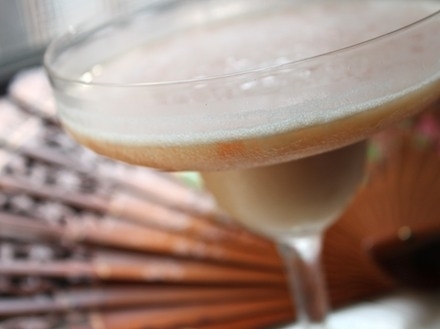 For those Dude-worshipers, here is a spin on the beloved traditonal White Russian. Here the mixer and garnish (chocolate milk and cherries) are frozen into an impressive looking extra-large ice cube — the more it melts the better the drink gets. This creative take on the classic Tequila Sunrise reimagines the drink as an alcoholic milkshake — combining tequila, orange liqueur, and both blood orange and coconut-flavored sorbets. The combination of white cranberry juice and white grapefruit juice improves upon the run-of-the-mill "vodka cran."